Recently we seem to have had a spate of brake issues, with squeaking and just wearing out one pad being quite common issues. So I thought I would run through some of the common problems we find in these areas. Brake squeak is a very annoying issue. It can also be so very embarrassing, the first thing you usually hear is a squeak that stops as you touch the brakes. It is often difficult to trace where the squeak is coming from. An easy way to tell is to put the handbrake on lightly when the squeaking occurs. 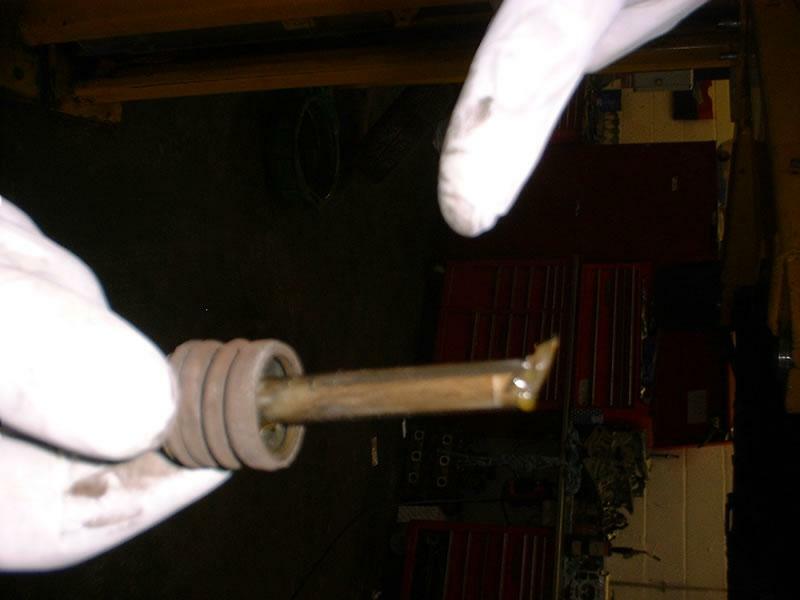 If it goes the source is the rear brakes, if it doesn't the fronts are at fault. The squeak is usually caused when one of the brake pads is slightly stuck on. 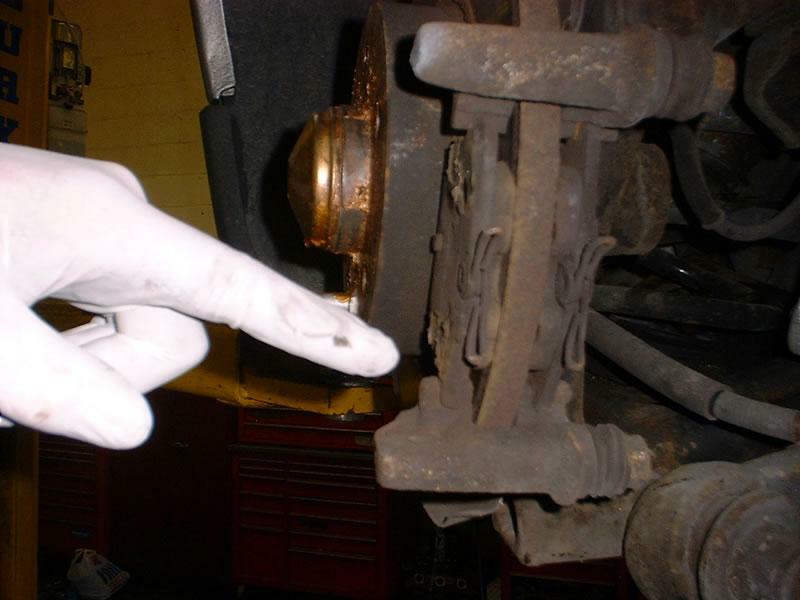 There are a number of reasons this can happen, the most common being the brake pad becoming stuck in its slider. This is due to a build up of corrosion on the slider. The best solution is to remove the whole unit, take out the pins and rubbers that the calliper attaches to and then clean it up with a wire wheel. Once the carrier's sparkly new, give it a quick coat of paint and reassemble, making sure you use grease on the pins and copper grease on the sliders and make sure the pads move freely in the carrier. 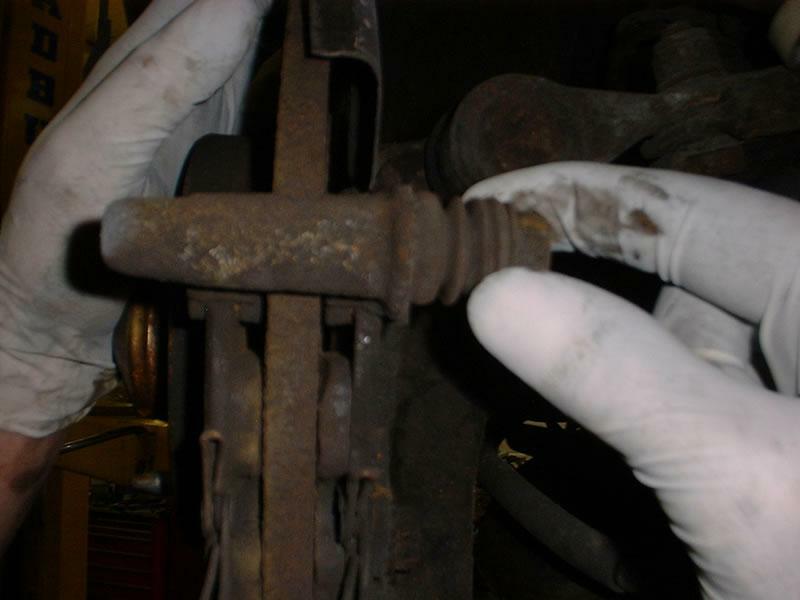 If on removing the calliper you find one pad is worn at an angle, then one of the two pins that the calliper bolts to has seized up. In order to free this off patience is required! 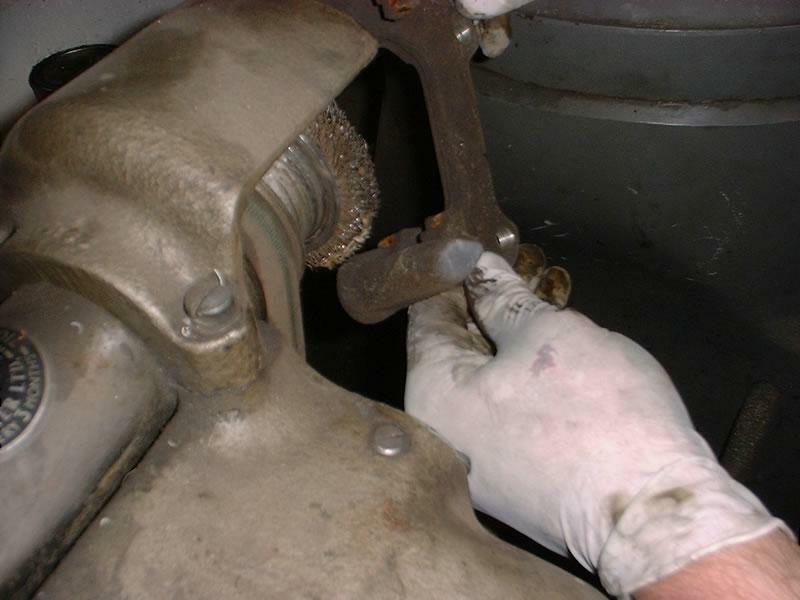 You have to ease it out without damage, using a spanner to twist it back and forward, loosening it off. Once out, it's back to the wire wheel to clean it up and reassemble as before. 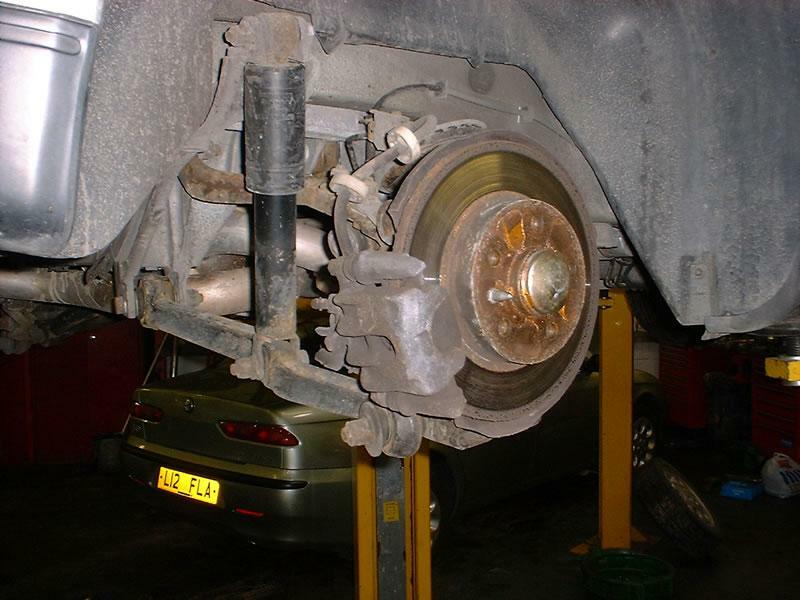 We regularly get cars failing their MOT's because the handbrake has been over adjusted, so when you put the brake on the mechanism hits its stops. In this case adjust the cable off and then wait for the self adjustment in the calliper to start working again. This will result in a lot of travel on the handbrake for a few days, it is best to then leave the handbrake to find its natural level.